​Marcus Morris didn't enter the NBA Playoffs saddled with big-time expectations. That's not because he's criminally underrated or overshadowed unfairly by his teammates, mind you-- it's because he was playing lousy basketball. 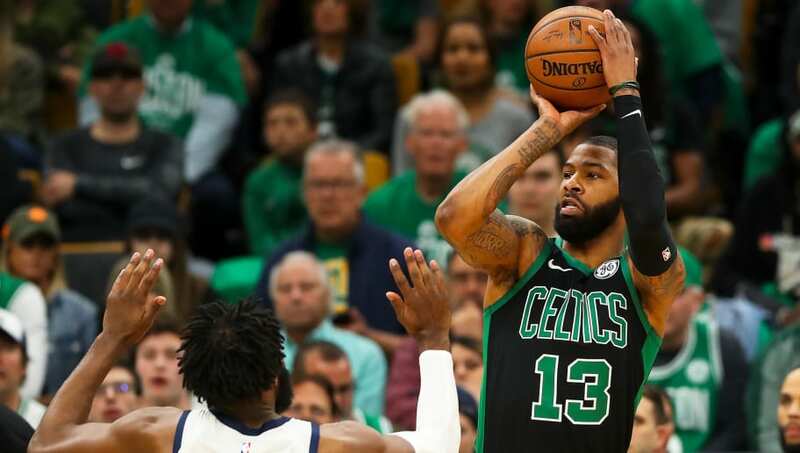 Luckily for the fans in Boston, however, Morris got the mojo working at long last Sunday in Game 1 of the ​Celtics' first-round playoff series against the Pacers. Throwing in 20 points and seven rebounds without a single turnover in 28 minutes, he was a major contributor as his team clawed back from a halftime deficit and ​ended up winning 84-74. Morris, an opportunistic three-point shooter, had been converting from behind the arc of late at a disappointing clip well behind the ​NBA average. On Sunday, he scored 12 in the first quarter alone, and finished the game with one more three than Kyrie Irving. But it was his energy and relentlessness that really told the story of the game. Perhaps all it took was a relegation to the bench. Given the extent to which the Celtics needed a jolt of adrenaline to jump-start their effort heading into the second half, an engaged and kinetic Morris is officially the X-factor for ​Brad Stevens' team until further notice. He's a tireless workhorse even when the shots aren't falling, and proved Sunday at TD Garden that he provides a needed spark of attitude and poise when the No. 1 unit isn't on the floor.